Electromagnetic fields are present everywhere in our environment but are invisible to the human eye. Besides natural sources the electromagnetic spectrum also includes fields generated by human-made sources.The electricity that comes out of every power socket has associated low frequency electromagnetic fields. And various kinds of higher frequency radiowaves are used to transmit information – whether via TV antennas, radio stations or mobile phone base stations. 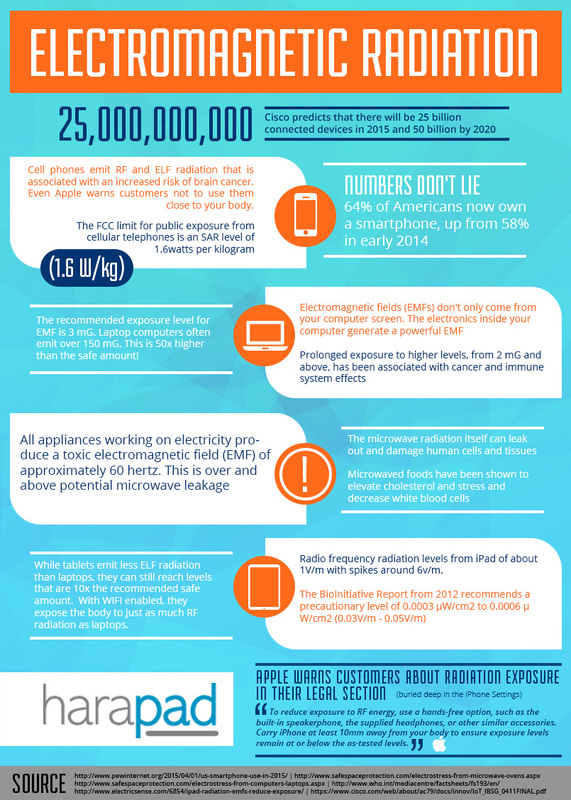 To learn more about electromagnetic radiation from devices used on daily basis, see the infographic below.